We're delighted to have Jennifer Honeybourn with us to chat about her latest novel, WHEN LIFE GIVES YOU DEMONS. Jennifer, what was your inspiration for writing WHEN LIFE GIVES YOU DEMONS? I wanted to take a crack at writing a paranormal and I liked the idea of a character training to be an exorcist, someone who felt a bit ambivalent about the whole thing and who felt like she had to hide what she was up to from her friends. Endings are always the most challenging for me to write. I’m not sure why, but they continue to be difficult for me. As for scenes that I love, I like the scene in Shane’s bedroom, when Uncle Roy sends Shelby over to talk to him. And the scene with the Freemont Troll. I like the scenes with Shelby’s teacher, as well, especially the scene in the bar. I try to use humor in my books, and two authors who I love who also use humor — and whose books are ridiculously amazing — are Lilly Anderson (THE ONLY THING WORSE THAN ME IS YOU) and Emma Mills (FOOLISH HEARTS, THIS ADVENTURE ENDS). How long did you work on WHEN LIFE GIVES YOU DEMONS? I first started writing WHEN LIFE GIVES YOU DEMONS in 2012. I got a bit stuck with it, so I put it aside when the idea for WESLEY JAMES RUINED MY LIFE came to me. I still loved the premise, though, so when it came time to talk with my editor about my option book, I pitched it and fortunately she was into the idea. It taught me that I could write a book under a deadline. Deadlines can sometimes be daunting, but it forces me to get the book done. What do you hope readers will take away from WHEN LIFE GIVES YOU DEMONS? My main goal with my books is to entertain, so if someone has fun reading the book, then I feel like I’ve done my job. I’ve been writing on and off for most of my life. I actually wrote the first draft of WHEN LIFE GIVES YOU DEMONS before I wrote WESLEY JAMES RUINED MY LIFE, my debut novel. Before both of those books, I’d written another book (which will never see the light of day) and a bunch of short stories. I was in my forties when WESLEY JAMES RUINED MY LIFE was published, so it was definitely a long road to publication, but I’m grateful that things turned out as they did. I think I’m a better writer for it. I don’t really feel like I have the key to writing a novel and I’m not sure that I ever will. I still stumble through it. For me, having an outline is important — I need a roadmap for where I’m going. 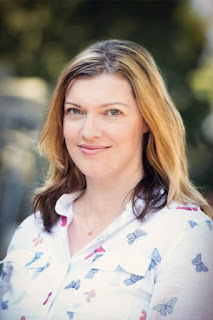 Having an editorial agent as well as an editor helps immensely because they can shine a light on the places in the manuscript that I need to work on and just all around help me create a better book. Beta readers are a big help as well. I do most of my writing at a coffee shop (in fact, I’m at the coffee shop right as I type this!). I don’t connect to the wi-fi, so I’m not tempted to surf the internet. It forces me to just get to work. I’m more likely to be distracted at home. Just write. Like anything, you need to practice if you want to get better at it. I’ve written many things that will never get published, but they’re still of value because they taught me a lot about writing. And, of course, you need to read. A lot. I’m currently working on my third book for Swoon Reads, which will be released in summer 2019. It’s about a girl who worked as a housekeeper at a luxury hotel in Maui. She stole some items from guests and now she has terrible karma, so she’s trying to turn her luck around by tracking down the owners of the items and sending them back. Jennifer Honeybourn works in corporate communications in Vancouver, British Columbia. She’s a fan of British accents, Broadway musicals, and epic, happily-ever-after love stories. If she could have dinner with anyone, dead or alive, she’d have high tea with Walt Disney, JK Rowling, and her nana. She lives with her husband, daughter and cat in a house filled with books. 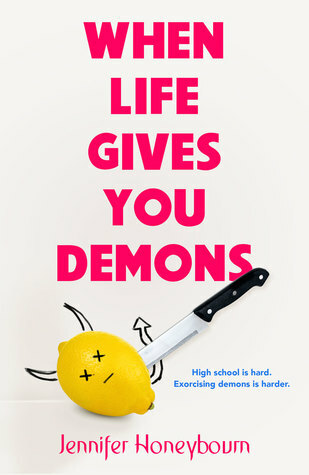 Have you had a chance to read WHEN LIFE GIVES YOU DEMONS yet? Are endings challenging for you? Do you have unpublished stories that have taught you a lot about writing? Share your thoughts about the interview in the comments!